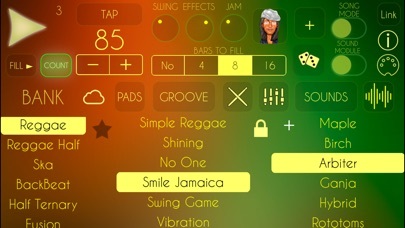 Reggae Drummer brings warm Jamaican rhythms to your iPad and iPhone, with lot of new features. 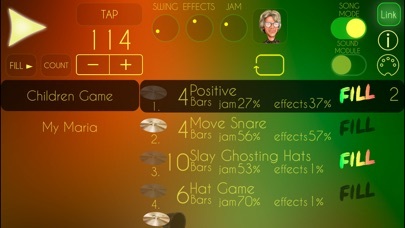 - Three drummers in one. 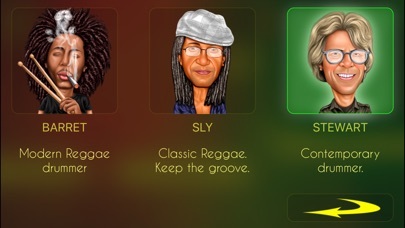 Barret, Sly and Stewart. 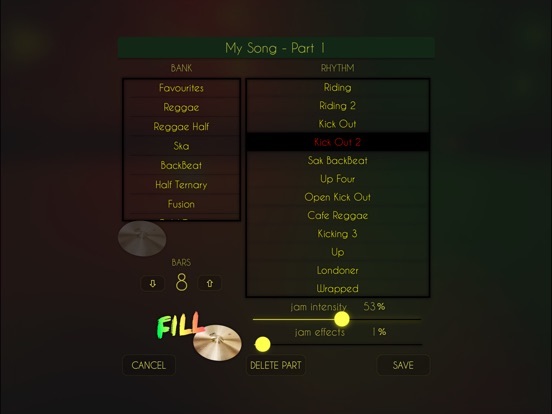 Modern, Classic and Contemporary reggae drums. 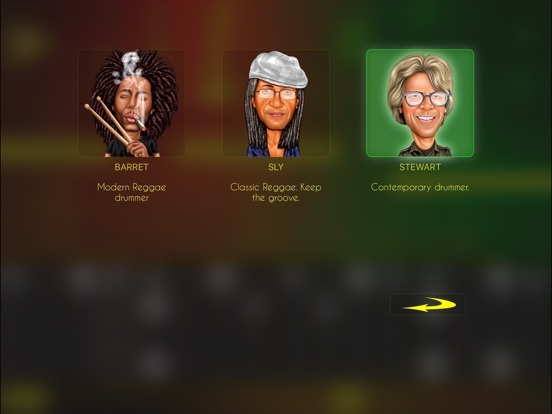 Choose the drumming style that fits best in your music and change between them to get inspired. 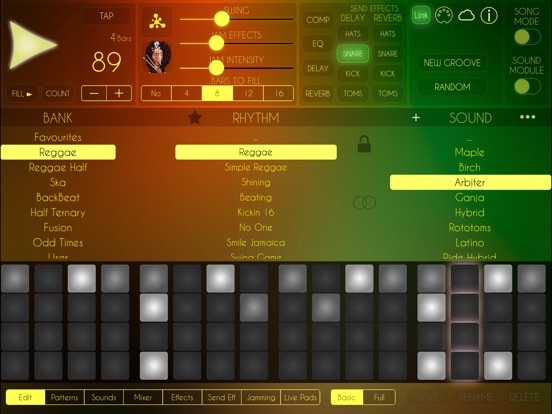 - Adds a new Reggae bank to iBassist with more than 60 bass lines. 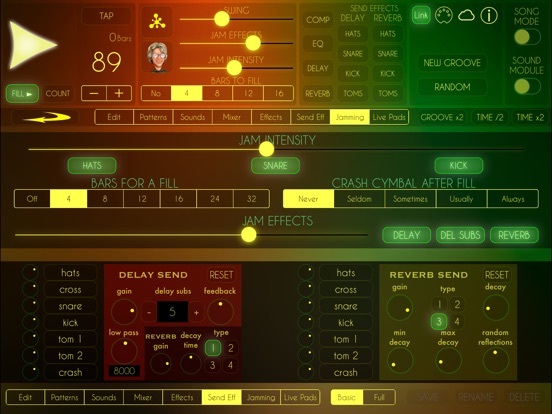 - Delay and Reverb Send effects creates warm reggae and dub environments. 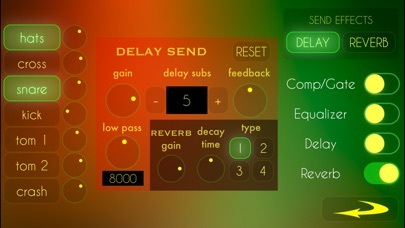 - Jam Effects will add Delay And Reverb sends on the way depending on the level you can adjust. 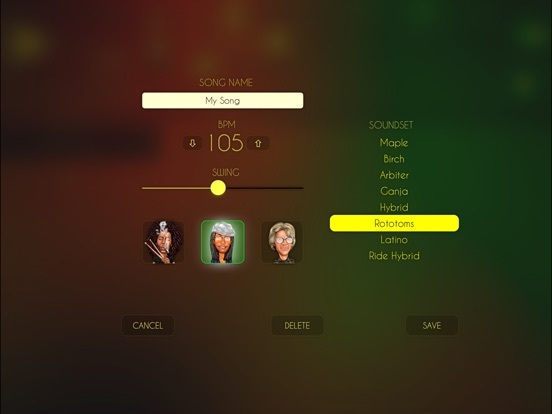 - Humanize Velocity to get more human authentic sound. 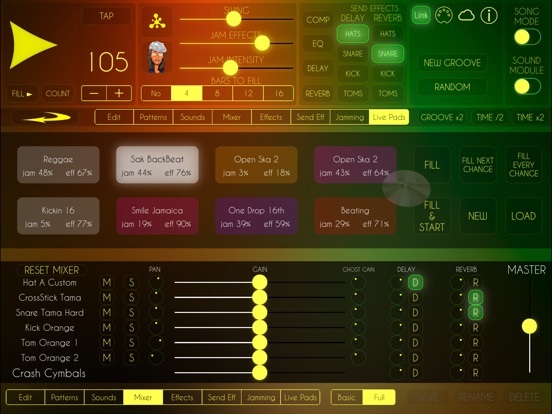 - Live Pads with Rhythm, jam and effects parameter to play live and control by MIDI messages.